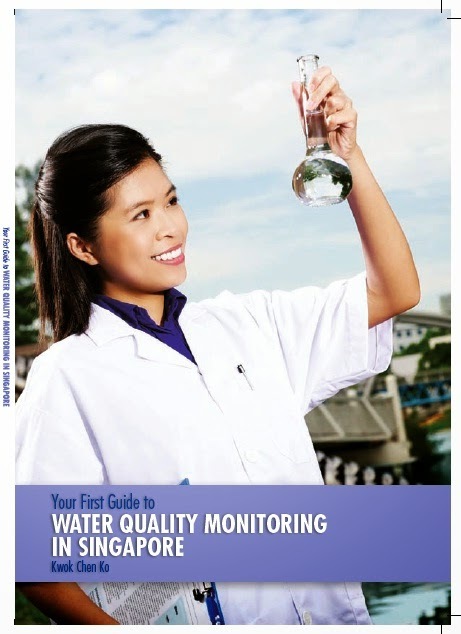 Water Quality in Singapore: What good is testing for ORP (oxidation reduction potential)? What good is testing for ORP (oxidation reduction potential)? 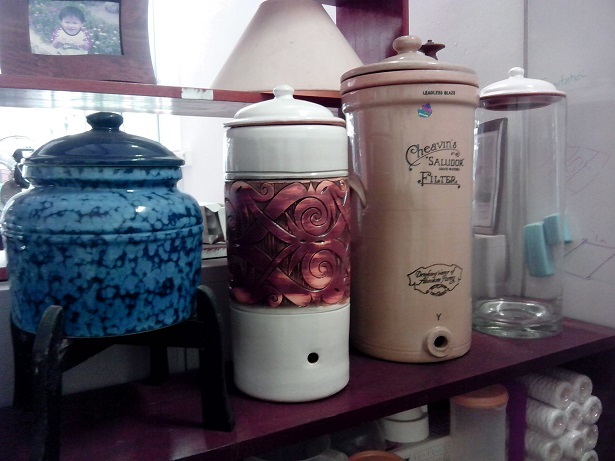 Personally, I hardly have a need to test for ORP (oxidation reduction potential). 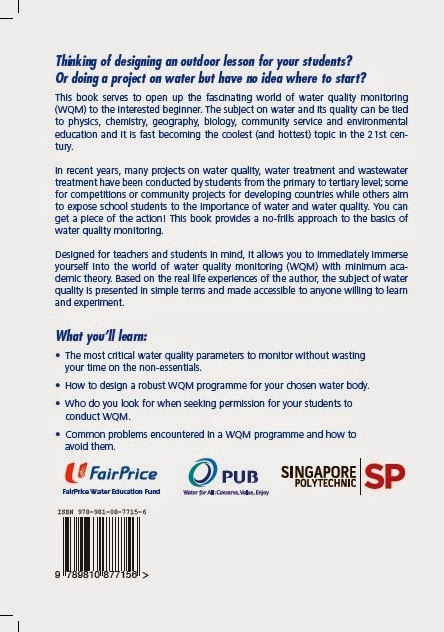 But recently, a supplier mentioned this water quality paramter in our discussion so I thought of writing a bit about it. It is supposed to measure the redox (reduction-oxidation) state of a water sample. Usually in units of mV, it indicates whether the water is more likely to support oxidation (positive values of ORP) or reduction (negative values of ORP). This can obviously apply to natural waters and wastewater treatment. In wastewater treatment, ORP can be easily and continuously monitored for feedback and control. 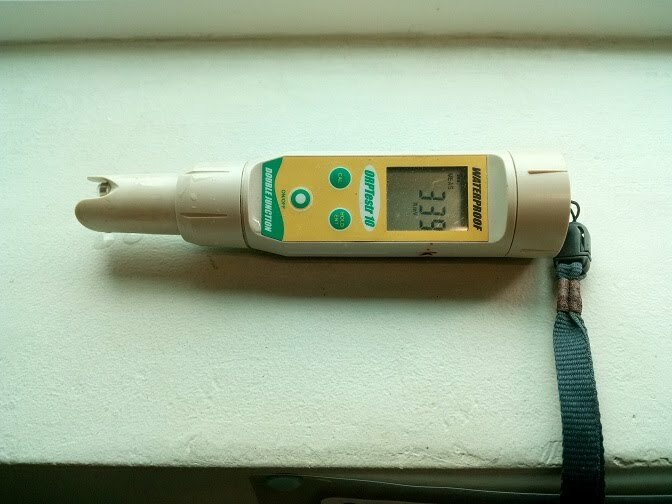 But in the case of natural waters, I prefer to simply test for dissolved oxygen (DO) level if I am interested in how aerobic or anaerobic it is. I like DO being a direct measure of an important chemical species (i.e. oxygen) which directly affects aquatic organisms and biochemical processes. Technically, an ORP probe is a circuit containing a reference electrode (immersed in a reference electrolyte) and an indicating electrode (immersed in the water sample). A salt bridge links the reference electrolyte and the water sample, allowing flow of ions but not mixing. The other ends of the 2 electrodes are linked to a voltmeter which shows the potential difference between the 2 electrodes - this is the ORP reading. Relatively simple and cheap, it can provide continuous monitoring in process control. Unlike DO or pH, ORP does not measure any specific chemical species since it reflects the various reactions occuring on the indicating electrode to produce a "mixed potential". This gives rise to a "black box" effect - you have an output but you have no idea what processes are involved. The "black box" effect becomes an impediment to interpreting ORP values across different water systems. Actually, they probably make no sense beyond a very broad qualitative kind of conclusion. The ideal use of ORP is to make comparisons within the same system in which it can indicate a disturbance in the process. Being an electrode system, the ORP can suffer from polarisation and poisoning of the indicator electrode surface, further affecting the accuracy of the reading. Chemical disinfection seems to have found a use for ORP as it can give an idea of the disinfectant strength. Chemistry tech talk: most chemical disinfectants (ozone, chlorine, chloramine etc.) are oxidising agents (chemicals that promote oxidation) so the greater the disinfectant concentration, the more positive the ORP value. Nevetheless, it is a good idea to correlate the ORP to other tests that measure the actual chemical species e.g. ozone. With the craze in alkaline water, hydrogen water etc. in recent years, it seems customary to measure the ORP to showcase the water's "anti-oxidant" properties. Of course, in this case, the more negative value, the stronger its anti-oxidant power. The health benefits are controversial and you can read a bit more in a previous post.